Great picture, we've seen it before. I think the closed cab was recognised as a rare coupe body from the pre T era, put on a brass T chassis. 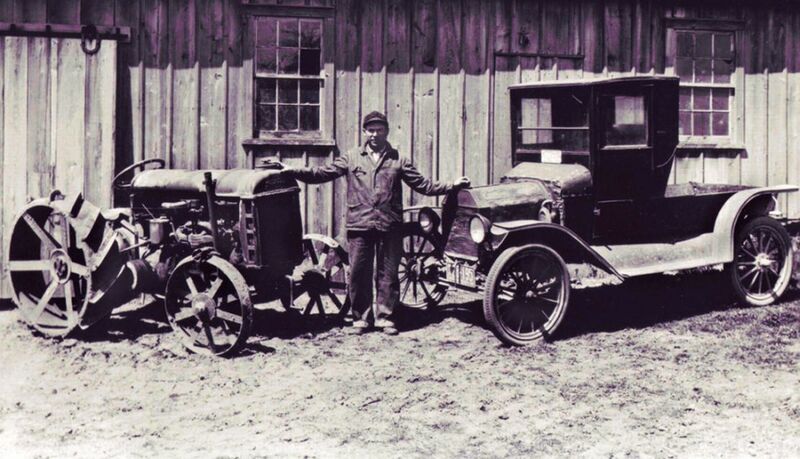 Wasn't the Fordson a rare early version too? Early Fordson - ladder sides, 6-spoke rear wheels. 1918-1919. Note the Ford script on the radiator fins - and it's horizontal. I believe that was only on 1909 Fords. Then it had an upgrade on the headlights. Rear fenders are 1909-1910, and it also appears to have 1-piece spindles, so it all looks consistent with it being an early T.